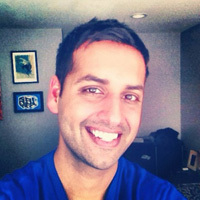 Nishant Kothary is a multidisciplinary web guy who lives at the mercy of a Weimaraner near rainy Seattle. He writes at rainypixels and tweets as @rainypixels. “You? !” exclaimed my wife in utter disbelief when I told her I’d been invited to write an article for Born Hungry.